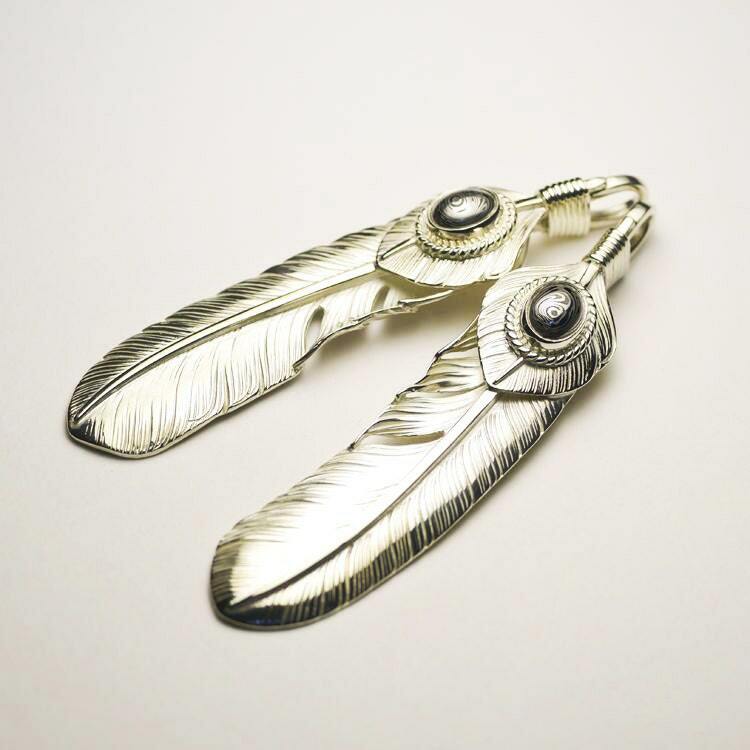 This silver feather pendant is richly crafted to create different layers of details. 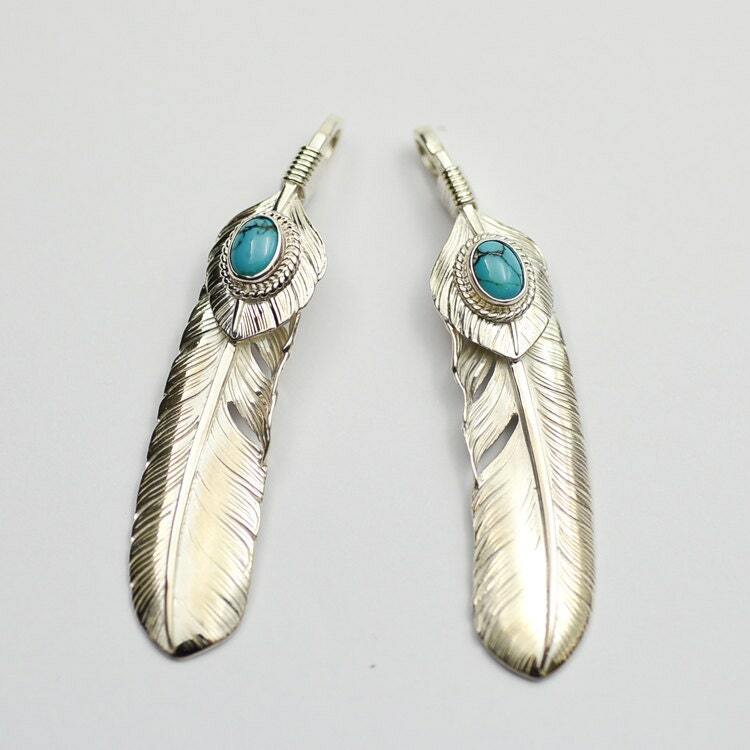 At the first level, there is the large silver feather that forms the base of the pendant. A smaller silver feather forms the second layer - both the feathers are tied together at the quills by a thin silver wire. 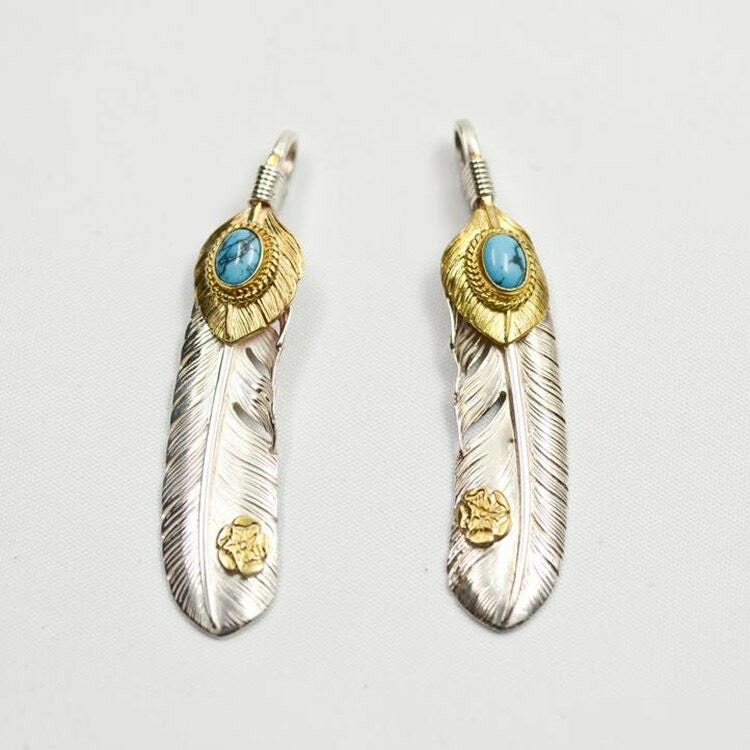 The larger silver feather is XL size and has a small brass rose flower on the base in select combinations. 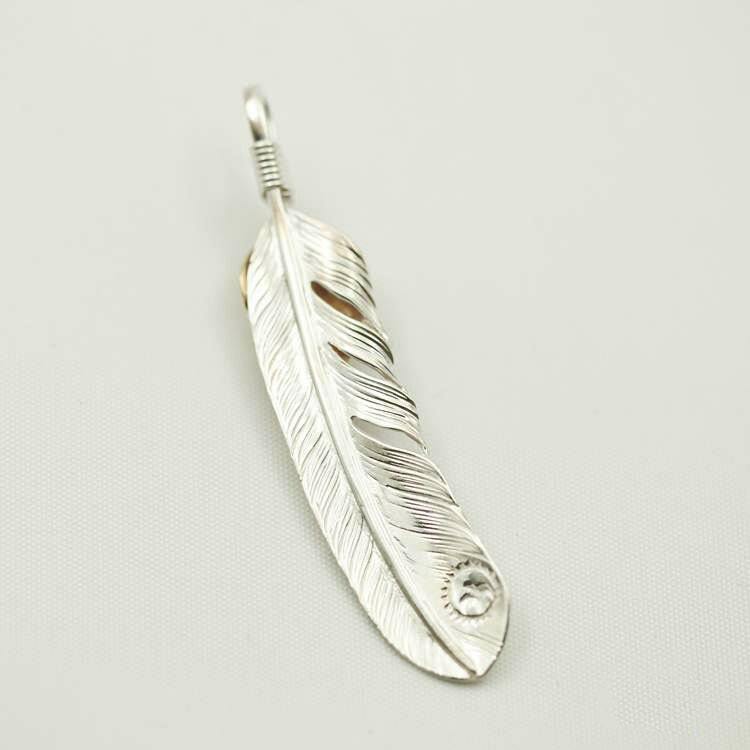 The smaller silver feather has a small oval gemstone embedded on a twisted silver wire base - adding another layer of texture and color to the pendant. 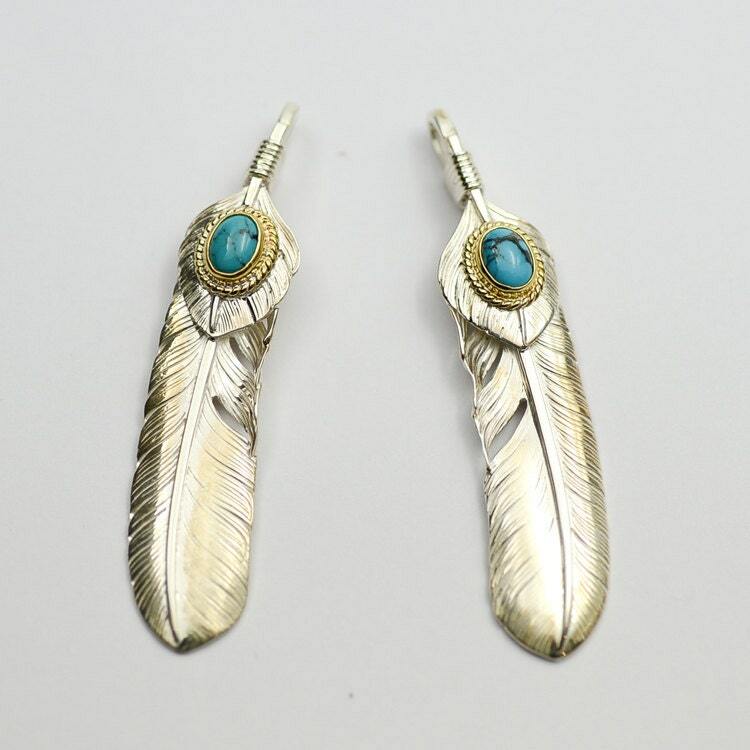 We offer different combinations of the larger silver feather, the smaller feather, and the gemstone to create different effects. Just pick one that you like. Style B (2nd image): With Damascus Steel embedded. Love the pendant and the craftsmanship, very detailed piece! Shipping was fast and communication throughout the process was impressive.